Sorry for the short notice but I saw this on Instagram and thought it would be fun to do. 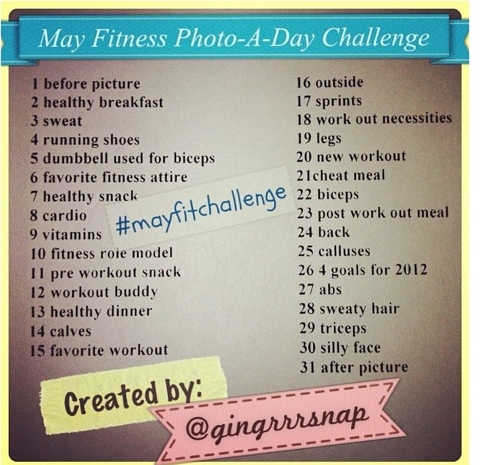 It’s just like the other photo-a-day challenges but fitness related. So don’t just pose for the camera, really do the activities and take your picture.